The time had come. 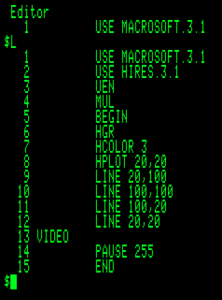 Time to use the Macrosoft programming language for my MindCraft Assembler. Time to realise I’d forgotten more about ProDOS than I’d thought! Arghhhhh! 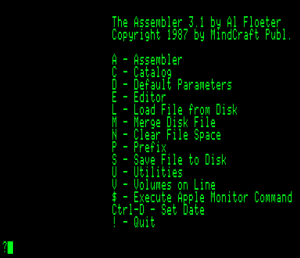 You have to make a customised Assembler/Macrosoft disk by copying the macro files across to the Assembler disk. The mind goes blank, how do you copy files from one disk to another in ProDOS? Surely I used to do that, but how? That’s right! I’ll need a “utility disk”, so I jump on my server looking for the ProDOS disk images. Found it! 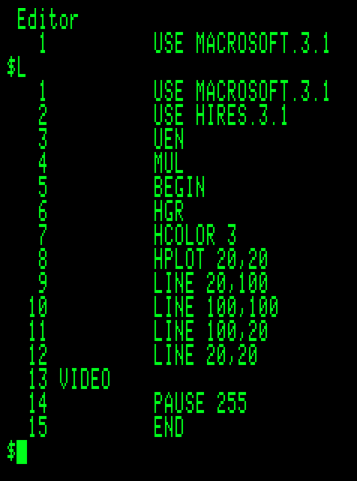 ProDOS Utilities Disk. 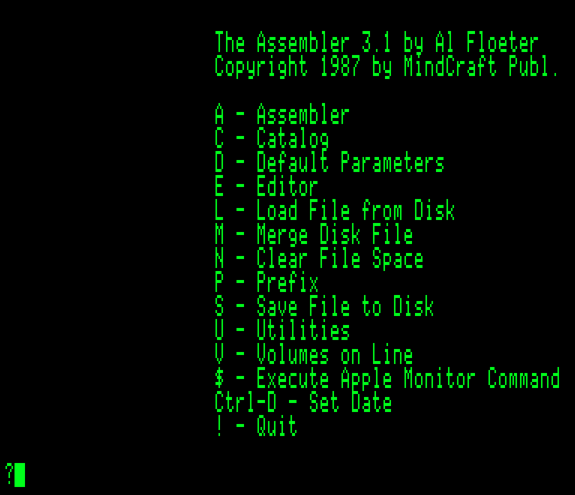 Boot it up and put the Assembler disk in Drive-1 and the Macrosoft disk in Drive-2, copy the Macrosoft libraries across and bingo! Done. Listing the BOX program, shows the very simple layout for the MindCraft Assembler editor. The program starts with the USE command to load the MACROSOFT and H IRES libraries, some setup commands, then the MacroSoft commands, which themselves are similar to Applesoft commands. 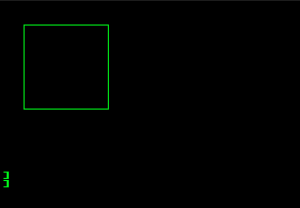 The line numbers to the left have nothing to do with the program, and are purely for referencing the text lines for the editor commands. 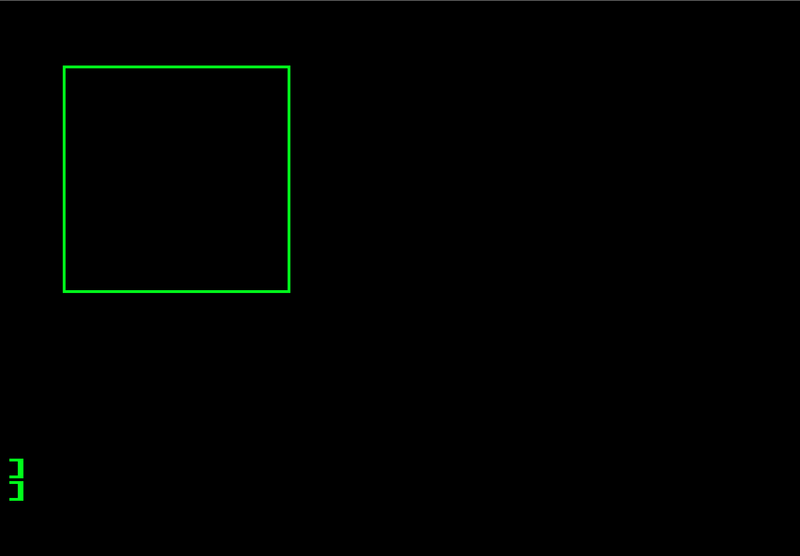 Line #13 is a label, which can either just label a section of code, or be a target for another command. 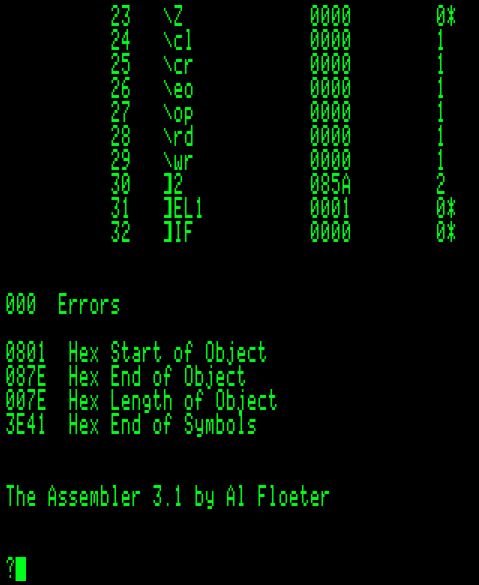 The next step is to assemble the program by going back to the main menu and selecting option “A – Assembler”, which will parse the code and finish with the summary listing the number of errors, start, end, and length of the object in hex. Unlike Applesoft programs which you start with the RUN command, Macrosoft programs are “machine language” programs and need to be started with the BRUN command, and then in all its glory, is the result of the BOX program. OK, so it’s not the most exciting program, and I copied it from the introductory chapters of the user guide, but at least I’ve got my disks setup, PDF user guides are on my iPad, and I’m ready and raring to go. Still no idea on what me first project is going to be, but I’m open to suggestions.